$99 each. 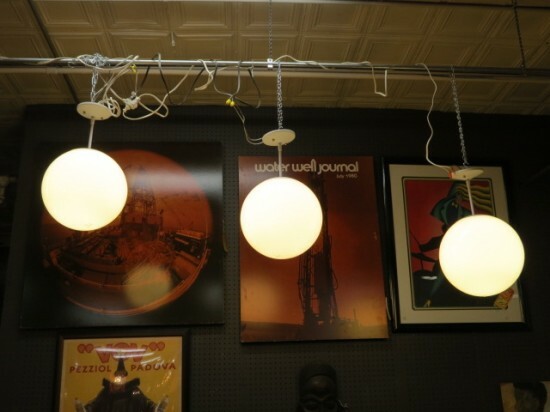 Vintage mid century modern set of 3 white globe hanging lamps, c. 1960. Large white glass globe hanging lamps with white cord and canopy. Would be perfect over your island in the kitchen or separately in an entry, bathroom, or dining room. Very good condition. 13in diameter.